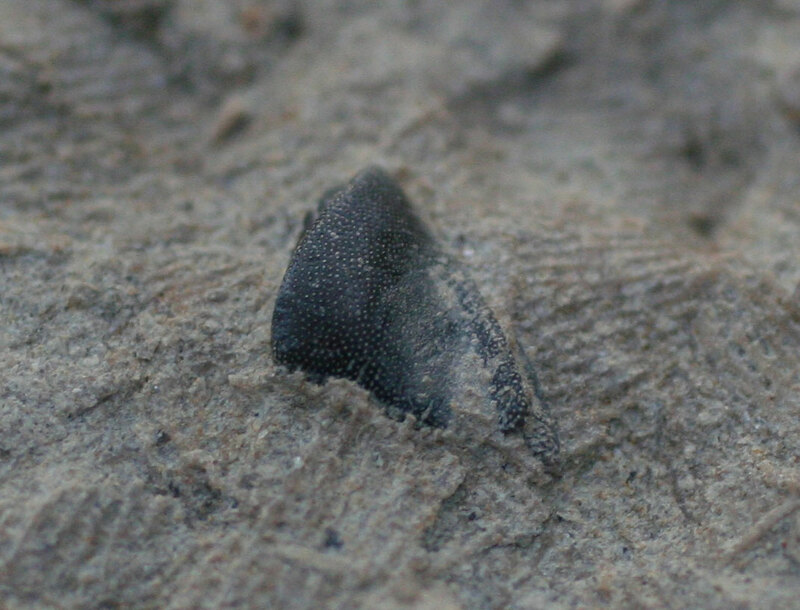 A fossil collecting goal for 2011 was to find a Paleozoic shark tooth. That goal has now been accomplished. 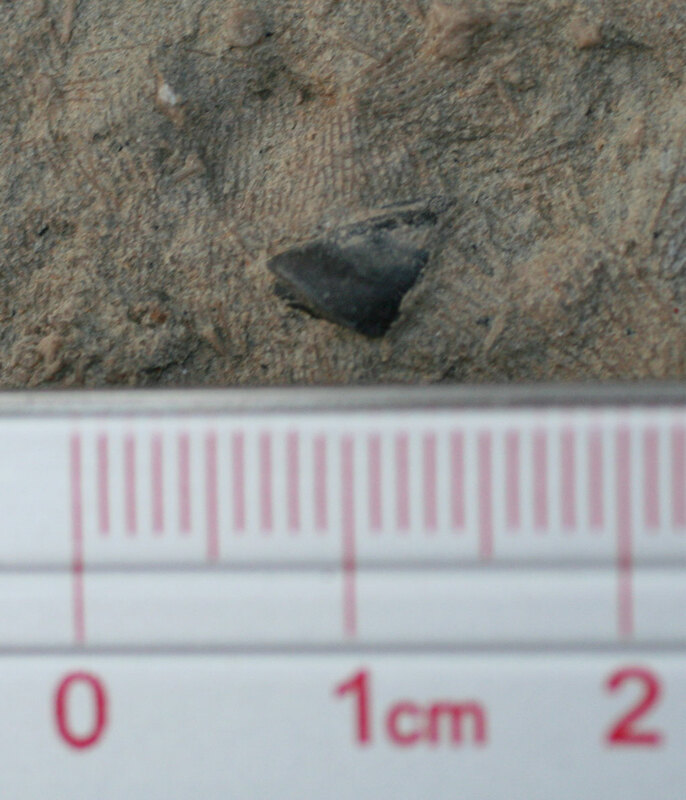 This tooth was found in the Indian Springs formation of Crawford County, Indiana. It is Mississippian Period in age. Not sure what shark it belongs too though. 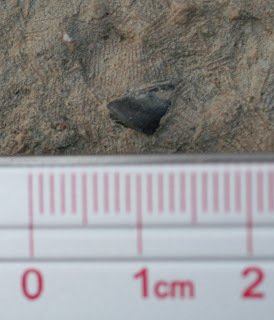 It is exposed on a matrix sheet covered with Fenestella bryozoan. As shown in the second picture it is about 5 mm in size. Now I just need to find a Troosticrinus blastoid and my year is complete! UPDATE: A local shark fossil expert named Mark helped identify this. He wrote: "Deltodus is a Bradydont type of shark which has a crushing battery of teeth similiar to a sting ray." Also thanks to Archimedes and JimB88 on the Fossil Forum for identifying this as a Deltodus. See their postings: CLICK HERE.